The 5.9 to 8.2' MK HS Studio C Extendable Headset Cable from AKG is designed for use with the HSC/HSD headsets for applications by studios, moderators and commentators. 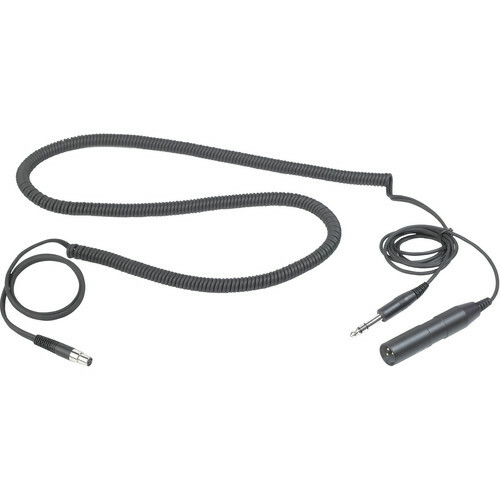 It is a detachable cable which features a 6-pin mini XLR female connector for the headset with a 3-pin XLR male connector and a 1/4" (6.3mm) stereo male jack for the microphone and headphones. Phantom powering of 9 to 52V is required. Box Dimensions (LxWxH) 5.8 x 4.7 x 0.4"